Well, the polls are closed... Paul Tillich took an early lead, but plateaued at 4 votes. Claiborne and Campolo started off trailing but made an impressive run near the end to get to 6. Let's face it, there was never any hope for J.P. Moreland. 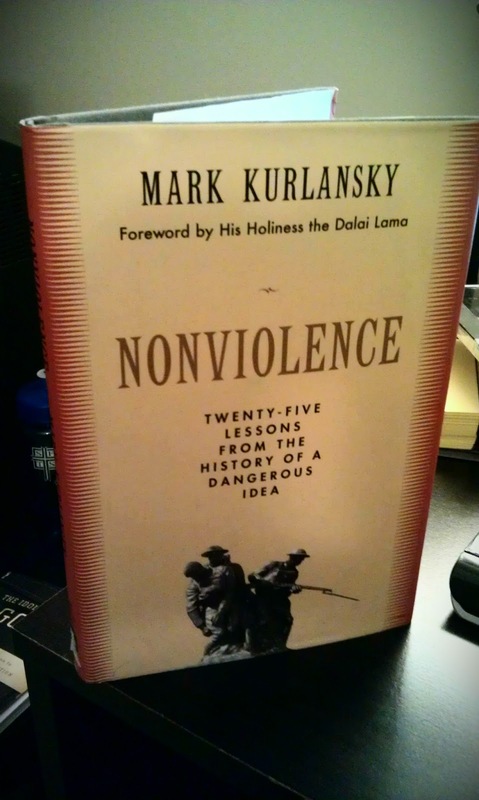 And in the end, the score was settled and it has been decided that I'll be reading Nonviolence by Mark Kurlansky next. Thanks for indulging my nerdy-ness and voting on this random poll! In the meantime I have finished The Way of Jesus Christ by Moltmann which I cannot recommend highly enough. Also, as a surprise, I got The Idolatry of God by Peter Rollins in the mail yesterday, so I finished that one today (I am sure I'll post some kind of review soon). Overall, I'll simply say that you should read Peter Rollins. He's a good thinker (even if he raises a host of theological issues).